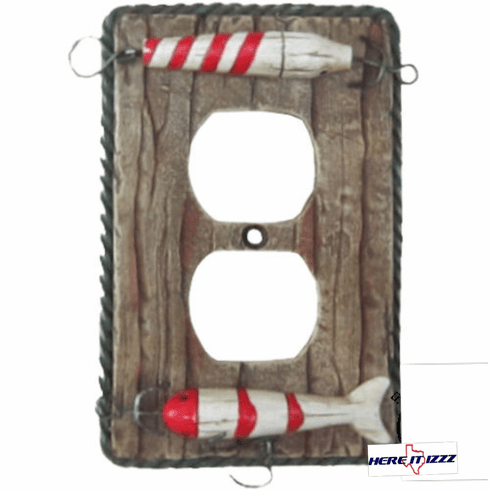 Change out all your wall outlet covers an upgrade to the fishing lures in three-dimensional form. Each of our custom wall plug covers is designed from a hardened polyresin molds. Realistic details include fishing rope three dimensional lures and realistic Hardwood features.